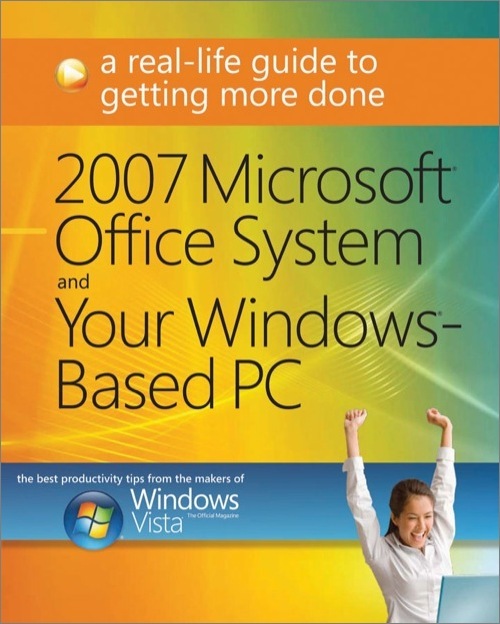 Get organized, get creative, and get more done—with the ultimate real-life guide to Microsoft Office and Windows Vista. Written by the editors and product testers at Windows Vista: The Official Magazine, this book focuses on practical, everyday scenarios and fast, reliable results. 1. Get Started: From the five-minute guide to personalizing your desktop—to getting familiar with Office programs and features—you’ll find smart and simple tips to get up and running quickly. 2. Explore: Now that you know your way around, dig in—and take control of your day. Build brilliant documents. Create stunning slides and charts. Fix your own connectivity problems. Brand yourself. Blog. Sync and share files. Go wireless. Go mobile. 3. Do More: Get inspired—and go further—with imaginative projects for you, your family, and friends. This book was created by the editors, authors, and reviewers at Windows Vista: The Official Magazine, the only officially endorsed Windows Vista magazine. Published in the U.S., U.K., and 10 other countries, the magazine offers jargon-free news, helpful guides, product reviews, and real-life tests.